TUCSON, AZ (KOLD News 13) - There are plenty of road projects ongoing in the Tucson area. Below are the active and upcoming projects as of Friday, April 19. Lane restrictions on north- and southbound State Route 77 between Tangerine and Eagle Crest roads Monday, April 22, and Tuesday, April 23, for pavement preservation work. Crews are scheduled to work both nights from 8 p.m. to 5 a.m. the following morning. State Route 77 will be narrowed to one lane in both directions. Allow extra travel time and use caution around construction personnel and equipment while work is underway. Motorists who use I-10 between Speedway Boulevard and Prince Road should expect lane closures from 9 p.m. Thursday, April 25, to 5 a.m. Friday, April 26. I-10 will be narrowed to one lane in both directions for pavement work. A 14-foot vehicle-width restriction also will be in place. Allow extra travel time and use caution around construction personnel and equipment while work is underway. 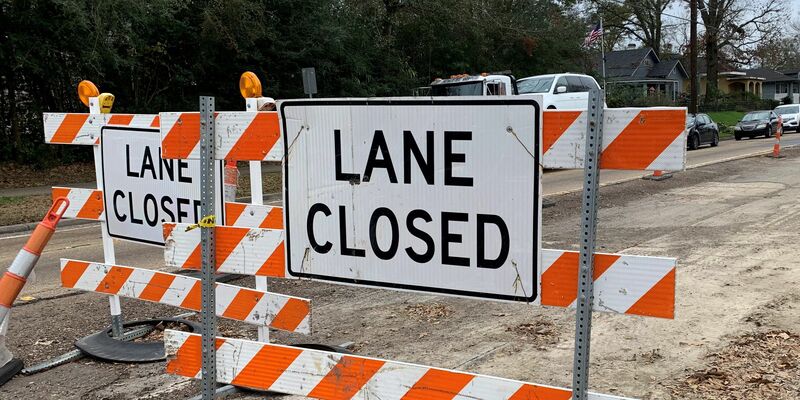 Motorists who use I-10 between Speedway Boulevard and 22nd Street should expect lane closures from 9 p.m. Sunday, April 28, to 5 a.m. Monday, April 29. I-10 will be narrowed to one lane in both directions for pavement work. A 14-foot vehicle-width restriction also will be in place. Allow extra travel time and use caution around construction personnel and equipment while work is underway. Pavement preservation work scheduled for Wednesday, April 24 and Thursday, April 25 both days from 8 p.m. to 5 a.m. I-19 will be narrowed to one lane in both directions. Allow extra travel time and use caution around construction personnel and equipment while work is underway. Saturday, April 20 from 7 a.m. until 3 p.m, Sixth Avenue will be closed from 12th Street to 13th Street for the Tucson Earth Day Festival. Businesses, parking garages and parking lots are open and accessible during the road closure. There are over 15,000 available parking spaces in Downtown Tucson. The Tucson Earth Day Festival hours are: Saturday, 10 a.m. to 2 p.m. For more information about the Tucson Earth Day Festival, click HERE. On Tuesday, April 16, southbound Sixth Avenue at Congress Street will be closed to vehicular travel beginning at 6 a.m. to allow a contractor to install new ADA-compliant ramps and sidewalks on the west side of Sixth Avenue. The southbound road closure is scheduled to be in place until 4 p.m. on Friday, April 19. Crews will begin milling the asphalt and subgrade beginning on April 15. Westbound traffic on Congress Street between Silverbell Road and Grande Avenue will be detoured. For more information, please visit the city of Tucson website. Access to "A" Mountain: Drivers are recommended to use Grande Avenue to Cedar Street to get to Sentinel Peak Road. More information on access to Sentinel Peak Park can be found HERE. Crews will be installing overhead lighting for two crosswalks on Esperanza Boulevard between I-19 and La Cañada Drive on Monday, April 15. The work, which will be done between 6 a.m. and 3:30 p.m., is expected to last four weeks. Minor delays and lane reductions may occur during this work. Motorists traveling east on Broadway between Euclid Avenue and Campbell Avenue can expect brief delays as crews conduct operations to place new pipeline beneath Broadway from the north side of the road to the south side. Operations are planned at Tyndall Avenue, Park Avenue, Highland Avenue, Cherry Avenue, and Warren Avenue, requiring short right-lane closures in those locations. Crews are scheduled to work Monday through Saturday from 6 a.m. until 4 p.m. The pipeline replacement work is expected to be complete in mid-June. For any questions or concerns, please call the project hotline at 844-258-7481. The town of Marana is nearing the completion of the paving portion of the Ina Beautification Project, paving will be on side streets North of Ina Road. Below is a schedule of the final paving projects. Paving will begin at 7 a.m. and continue to 4 p.m. Expect delays and use alternate streets when possible. Mainline final paving for Ina Road will begin the week of April 22. Monday April 22 – Friday April 26 Ina Road from Ulene Place to the Canada del Oro bridge. The reconstruction and repaving of Speedway Boulevard from Greasewood Road to Painted Hills Road is set to begin on Sunday, March 31. The project is scheduled to last two months. Work will happen every day from 7 a.m. to 3:30 p.m. with some night work. Business and residential access will be maintained at all times during the project, except when heavy equipment is directly in front of driveways. Southwest Gas pipeline improvement project will begin on East Broadway Boulevard near Country Club Road on Monday, March 18 and is expected to last until late July. Work will begin on the frontage road adjacent to westbound Broadway from the intersection with Country Club Road westward to the 2700 block of East Broadway. A right lane closure will be in place around the clock on westbound Broadway starting east of Country Club and continuing past Treat Avenue. The westbound lane closure is expected to remain in effect until late April. Access to businesses will be maintained at all times and parking will be accommodated in front of the businesses. At the same time, crews will begin work on the eastbound side of Broadway just west of Treat Avenue, then continue south on Treat Avenue to East Manchester Street. A right lane closure on eastbound Broadway will be in place Monday starting west of Treat Avenue.Lane closures will be scheduled in both directions as the project continues and additional work hours, including potential night work, may be necessary. Southwest Gas will provide updated information about travel restrictions as the project continues. From Twin Peaks Road north to Silverbell Road, concrete work will be completed along the northbound side on Coachline Boulevard first, before the southbound side of the roadway. Traffic will be shifted around the work area. Bike lanes will be closed and cyclists are advised to take other routes if possible. Access to residential areas will be maintained. Work is scheduled to begin on Wednesday, Feb. 27, and is estimated to take two months. On Monday, March 18, around 10 a.m., Valencia Road east of Kolb Road will be closed to travel for approximately four months. The closure will allow work crews to reconstruct the section of Valencia Road from Kolb Road east to the newly constructed southeast ramp. During this temporary four-month closure, crews will remove the existing asphalt on Valencia Road, install new underground water lines, sewer lines and underground storm drain systems, as well as a new roadway subgrade, new asphalt, landscaping, street lights and sidewalks. All westbound and eastbound Valencia Road traffic on the east side of Kolb Road will use the new southeast ramp to access Kolb Road (please see the map below).